One of the many places sanctified by Sri Ramakrishna with his occasional visits to His devotees was Bagh Bazaar where Tulasi's house was situated. It was during one such visit that Tulasi had the good fortune to meet Him for the first time. The meeting was for a brief minute or two; but that was enough for the Master to mark His own and bring about a transformation in His chosen. There was nothing unusual in Sri Ramakrishna's visits to His devotees or in Tulasi's curiosity in seeing a God intoxicated Paramahamsa. But it turned out to be a momentous meeting, an instance of God's inscrutable ways of His forging invisible links from cause to conclusion in the long chain of events in this vast universe. "Nivedita lane and the tank on that side formerly belong to us. The quadrangle in front of the house occupied by bosses now (1928) was the place where we boys used to meet. there we were chatting one day when we heard that a Paramahamsa had come to the houses of the 'new kayasthas'. Balaram Bose had bought that property from the Banerjees and so the house was called thus. At once, all the boys ran, I also hurried to my place, put on a chhaddar and went to Balaram's house. I found that the hall, parlour and verandah was full. In the middle of the hall, a carpet was spread on a cushion with pillows on it. The Paramahamsa was not there. I learnt that He had gone inside the house so that the ladies might have an opportunity to meet Him". "I was but a lad of seventeen or eighteen summers and so I did not venture to get inside the hall. I stood outside leaning against the wall of the verandah. A little later, I saw a person clad in a towel of gerua colour coming towards me. His eye seem to observe nothing, for they were half closed in a state of reverie. Behind Him was few persons whom I did not know. Suddenly, He came to where I was standing and looked at me. He did not exchange a single word with me. After that, He staggered into the hall. I stood non-plussed and forgot even to salute him. At that moment, O God! I felt a creeping sensation within my bosom, a thrill from head to foot as if my body was becoming paralysed and I was inclined to weep. I ran home and laying myself in the bed, I said to myself, 'O! what kind of Paramahamsa! I shall not go that way again'. That was my first meeting with the Master". "A few days after this incident, I went to Hari Maharaj who was my boyhood friend and whose house was close to mine. It was known to me that he used to go to the Paramahamsa of Dakshineshwar. But I did not know that the Paramahamsa of Dakshineshwar was this Paramahamsa. It was an Ekadasi day and probably also a Sunday. He said to me, 'Let us go for a bath in the Ganges and from where we shall go to meet the Paramahamsa at Dakshineswar. I accompanied Him to the Ganges, but after bathing, I returned home and walked all the way to Dakshineshwar. Turiyanandaji who went by boat with some others was already there, but Sri Ramakrishna had gone out. So, we walked all around the place and saw the various things to be seen there. At night fall, we went back to Sri Ramakrishna's room to offer our salutations before returning home. I noticed that among the many photographs in the room, there was also a photograph of Sri Ramakrishna. I pointed it out to Turiyanandaji and asked him as to whose photo it was. He replied that it was the photo of Sri Ramakrishna. Then I remarked that I had already seen Him. 'Where?' He asked. 'At Balaram Babu's house', I replied. 'Then it is alright', he said". "Shortly after this, one day I walked to Dakshineshwar alone once again. It was about mid day when I reached the Kali temple. Without stopping anywhere, I went straight to the Paramahamsa Deva's room and found Him at his meal. I saluted Him and sat on the floor in front of His cot. This was my first bowing down before Him. I was so ignorant that it did not occur to me that I should not salute Him or sit by Him while He was eating. However, He did not mind this breach of etiquette. He talked to me, smiling all the time. At that time, there was no one else in the room. When His meal was over, a lady came from the verandah near the side of the Nahabat and removed the plates. As I was a mere boy, she had no delicacy in entering the room and doing the work. Later on, I came to know that she was the Holy Mother". "After finishing His meal, He washed His hands and mouth, sat on the cot with a placid face and began to smoke and chew betel leaf. After a few preliminary questions to me, He suddenly said something curious which astonished me: 'The other day, a boy resembling you came here and asked me if I could act as his go-between!'. I did not quite understand him and I wondered why He used that slang expression. I remained silent, but He read my mind and said, 'No, no, by the word go-between I mean the one who brings about the meeting of a person with his beloved Lord. He is the guru; he is everything. There is no difference between him and God'. I understood that it was a hint thrown to me to accept Him in that light. After a while, He rose from the cot and placing His left hand on my shoulder as a mark of favor, He said to me with great tenderness, 'Come here now and then'. At this, my heart was filled with great joy". "He began to walk slowly towards Panchavati where I followed him. Reaching Panchavati, He saluted the spot where He had practiced Sadhana and sat on a lower step. In an exalted mood, He began to converse with the Divine Mother. I could catch the word 'Mother, Mother' spoken by Him at intervals but could not, of course, hear the talk of the Mother. Also from many other words spoken by the Master, I knew that He was talking to the Mother. Towards night fall, He returned to His room. Then, I prostrated before Him and returned home. He told me, 'come again.'". 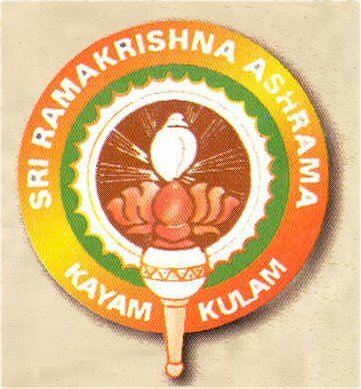 The foregoing account of Tulasi Maharaj's meeting with his Master given by himself in February 1928 at Sri Ramakrishna Seva Ashram, Benaras to a group of devotees which included Swamis Heerananda and Vishwarupananda, among others, shows how Sri Ramakrishna chose His disciples who belonged to the inner circle. They were shown beforehand by the Divine Mother and were accepted as His own only after getting Her permission. They were Siddha-Purushas, liberated souls who were His companions in previous incarnations. The Master himself had come to recognise them, specifically those disciples like Swamis, Brahmananda, Saradananda, Ramakrishnananda etc. The account also tallies with the statement once made by the Holy Mother that the Master used to choose His disciples with the same care with which a diamond merchant would chose precious stones. 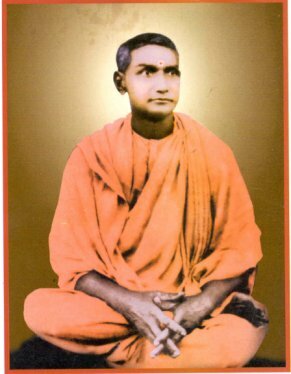 Tulasi Maharaj's letter to Swami Madhavanandaji written in 1923 containing an account of his meeting Sri Ramakrishna gives us the additional information that " this incident (of his first meeting with the Master) took place an year or so before the meeting of Sri Girish Babu with Sri Ramakrishna". The letter also says that he used to meet Sri Ramakrishna at Dakshineshwar many times, alone or in the company of Swami Turiyanandaji, at Balaram Babu's house and at the Cossipore garden house where He was laying ill. On hearing the news of His mahasamadhi, he went to the garden house. "I bowed down to Him for the last time and placed my head on His feet. Then, from the cremation ground, I returned home at about 10 pm". "There were a thousand and one occasions when the great prophet Himself used to remain a mute spectator before a thirsting soul with occasional glimpses of smiles hovering between His penetrating eyes and quivering lips. For verily, it is not the vaikhari speech alone that speaks but the pashyanti speech that rises in the heart like waves and passes beyond the bounds of flesh and falls like breakers on the hearts of the audience like sweet caresses to lull them, to soothe them, to embrace them. I am one of those who have had the good fortune to experience this touch and I shall fail in my task if I do not carry that touch. May He infuse in me His sakthi". "Hereafter, the work of all institutions and the life of all nations will be moulded in Ramakrishna fashion. Politics and Government and all such things will have to pass through that mould, viz. ; Ramakrishna, I may not live to see all those wonderful happenings. The next generation will see it . The power of Ramakrishna is now in its infancy, just beginning to spread . that mighty power will take years to fully manifest itself and to envelope the world. All things will be pervaded, devoured by it. The effulgence of Sri Ramakrishna will permeate everything. There is no Ramakrishna or religion of Ramakrishna. There is no question of sectarianism at all. His spirit will be accepted by all."